Just when we thought things were going to get better, the New York Knicks find a way to make them worse. After letting go of Phil Jackson, the man who tied the Knicks to two (arguably three) terrible contracts for under-performing veteran players, the Knicks took a page right out of Phil’s book this week. The offered Tim Hardaway Jr. a four year, $71 million contract. And, as expected, he accepted. As a restricted free agent of the Atlanta Hawks, his now-former team had a chance to match the offer sheet. But why the hell would they have done that? 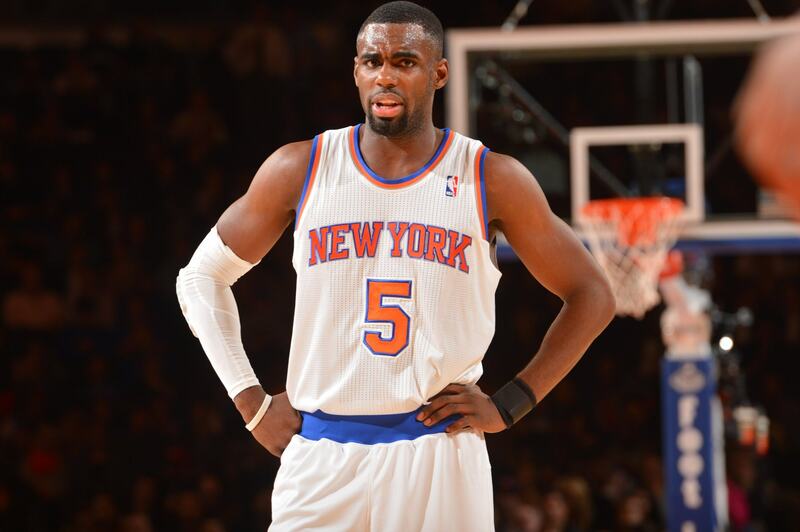 Hardaway is a former first round pick of the Knicks, before being traded for point guard Jerian Grant last offseason. They then traded Grant for now unrestricted free agent guard Derrick Rose. And, now, they are paying Hardaway $71 million over four years. I will be re-assessing the New York Knicks offseason in greater detail over the coming weeks, and giving my objective opinion on every move they end up making. And while I never have an issue with a player getting his money, the fan in me has to be mad at the Knicks for making this move for Tim Hardaway Jr.
Let’s hope he can prove us all wrong over these four years, or else it will just be another laughable New York Knicks free agency signing. Related Items:Atlanta Hawks, Free Agency, Tim Hardaway Jr.